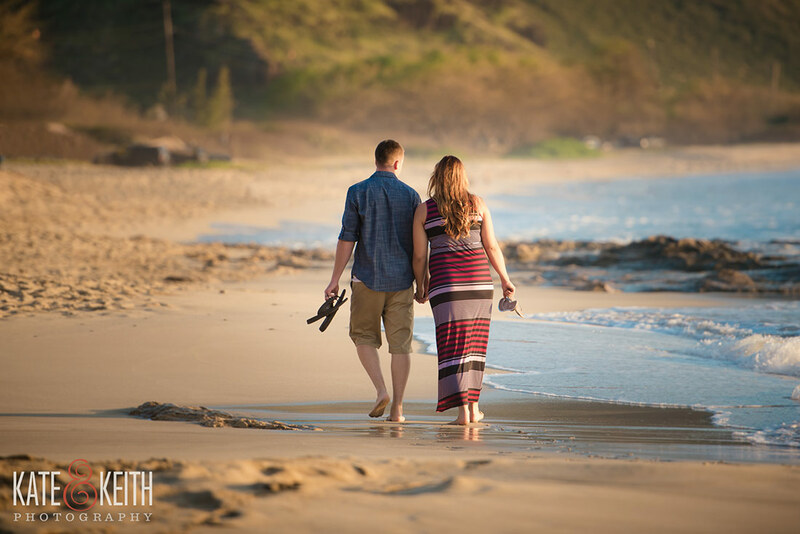 Gorgeous, wether, waves and couple made our wedding photographer dreams come true for this Hawaii engagement photo session at Makua Beach. So much about this couple is awesomely unique. 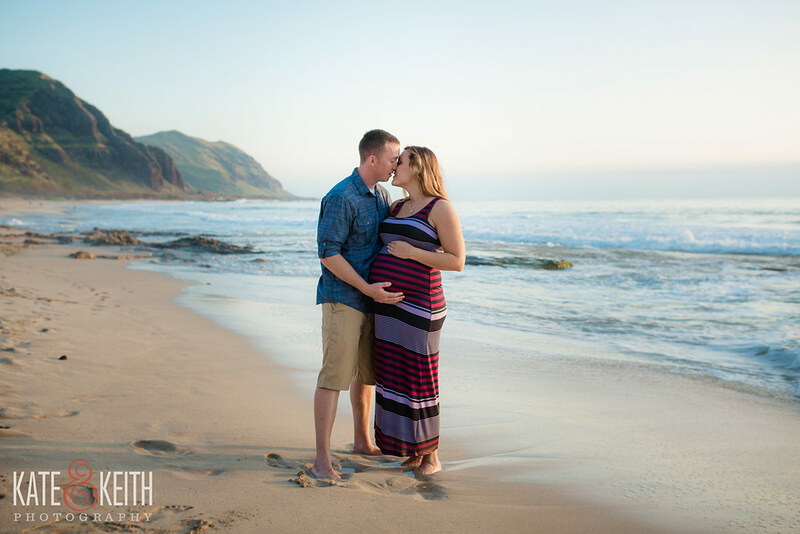 First, they met while in the Air Force, both stationed in Hawaii. Travis was assigned to show newbie Hannah the ropes. He should probably get a medal for going above and beyond duty! Half way through our initial Skype meeting Travis and I did a couple double takes. “Wait, did you used to work for AAA?” “Oh my gosh, you drove a tow truck?” Yup, turns out we were both drivers for the roadside emergency company in New Hampshire during the same time. However, being in our own trucks we only knew one another through radio presence! 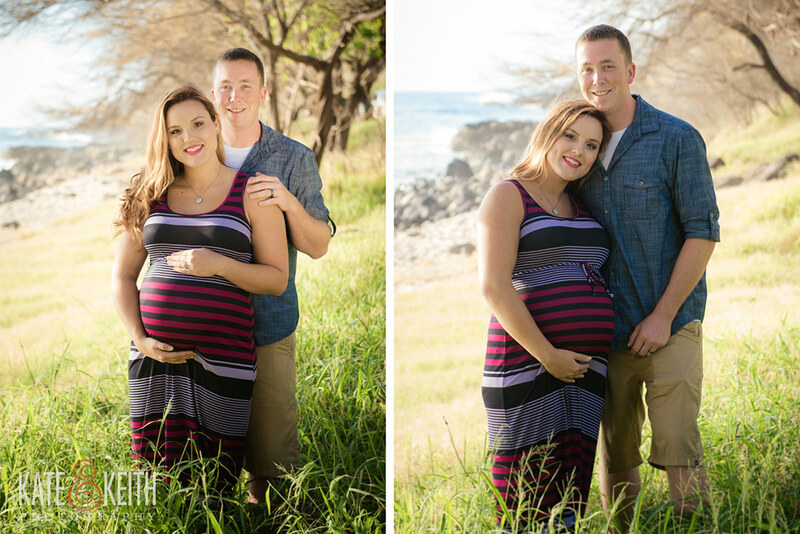 Travis left the glamor-filled job to join the Air Force and landed himself in Hawaii (life can be so cruel, haha!) Hannah meanwhile made her way to Hawaii from her home state of Kentucky. There’s obviously way more to this story if you haven’t noticed! 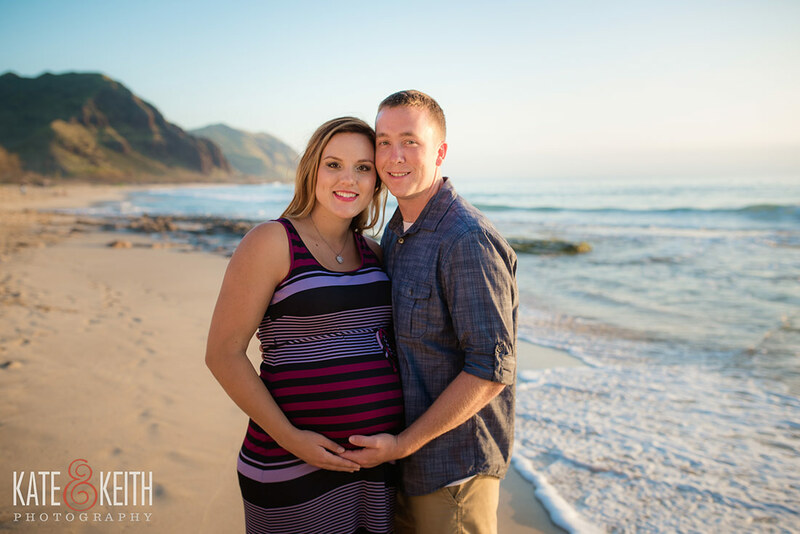 Hannah and Travis were legally married on the beach in February, a common happening in the military and well planned as they were both set to deploy to Afghanistan. 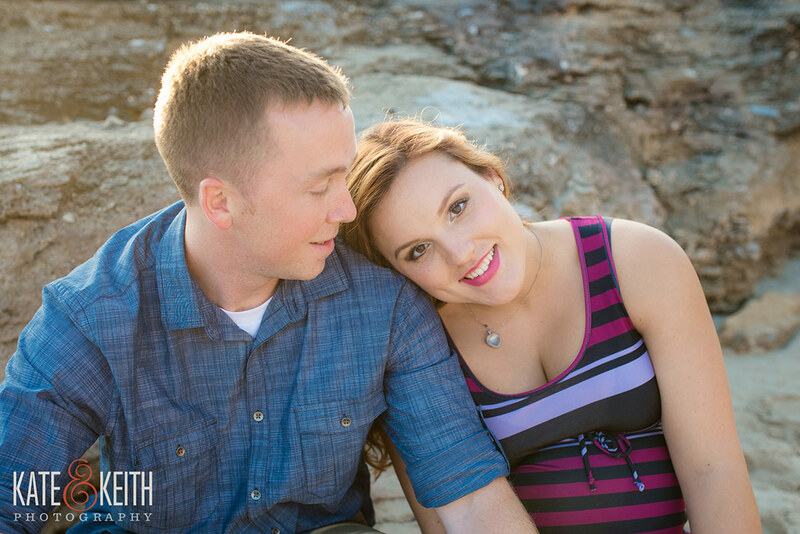 Their official wedding was set for June 20 to take place in Travis’ home state of New Hampshire. 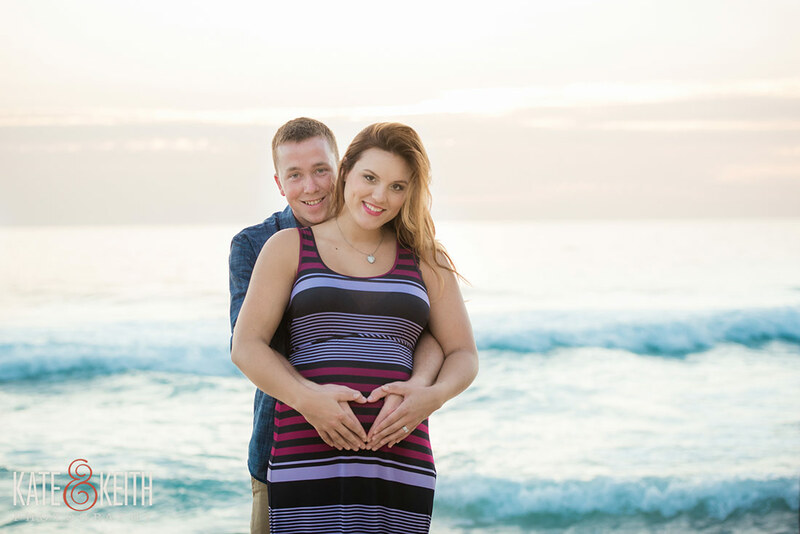 Then, surprise, “we’re pregnant”!! 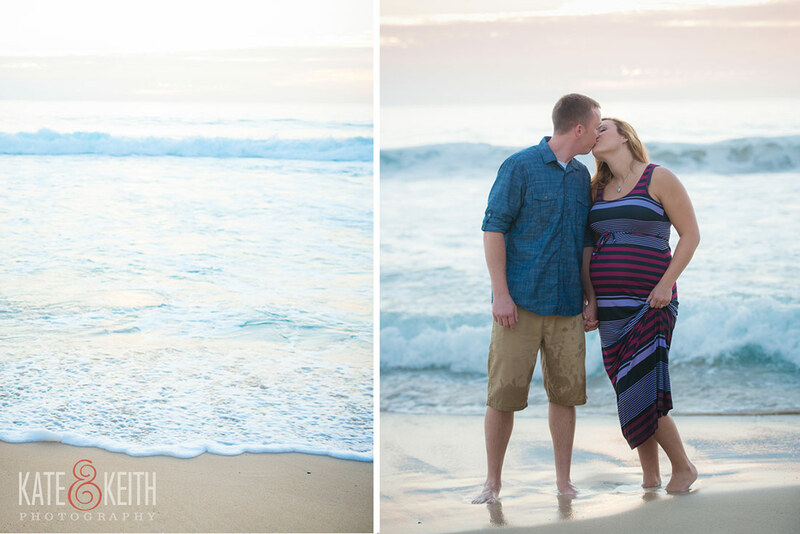 So this shoot turned into an enagement/maternity beach session, a first for us! 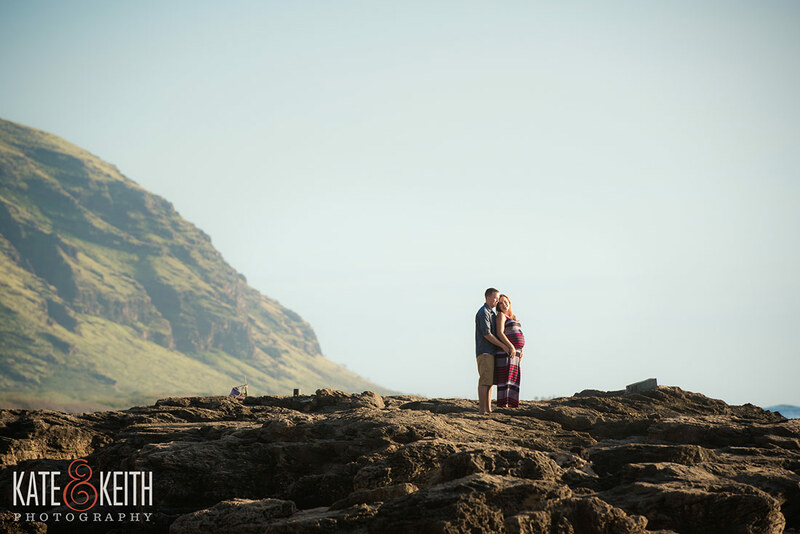 After an amazing engagement session, we enjoyed a scrumptious dinner together at Monkeypod Kitchen in Ko’olina. Then met Travis the following day for an awesome waterfall hike off the Pali with rescue pups Griffin and Dodge. 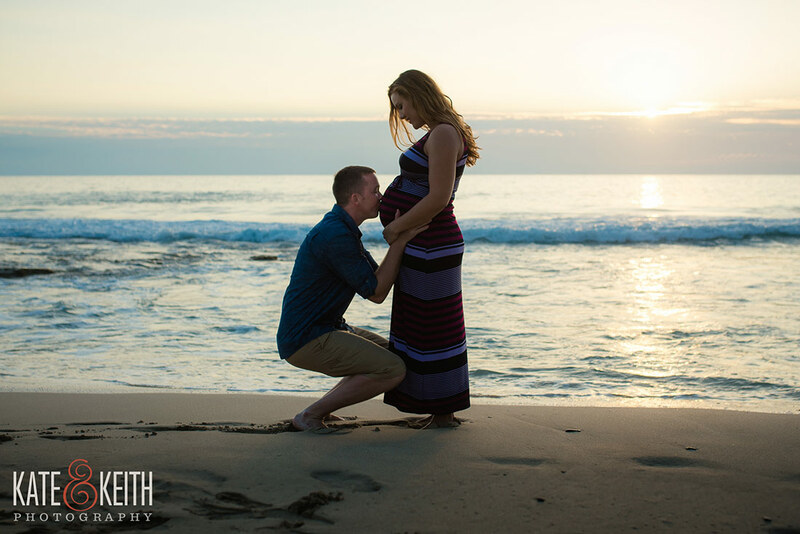 Can’t wait for a foliage filled New England wedding with these two and Harlynn Grace, born April 9th to two proud parents and adventure partners. 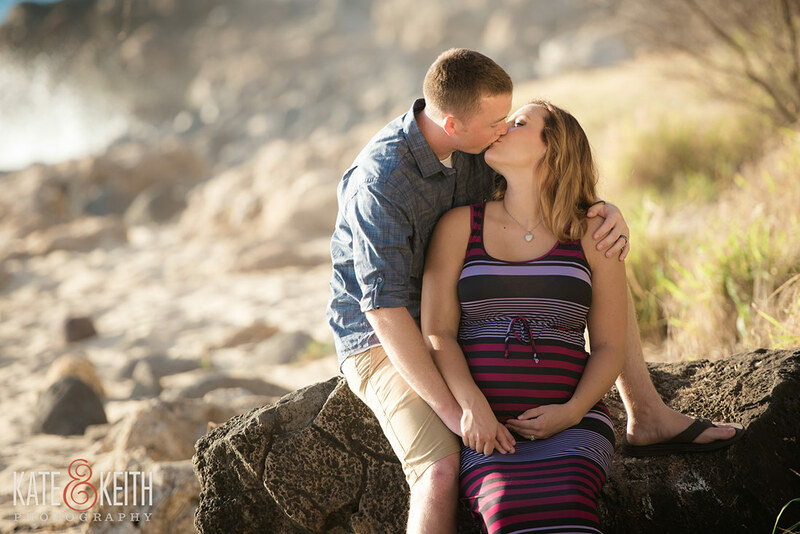 We’ll miss the pups, but can’t wait to meet the little one! 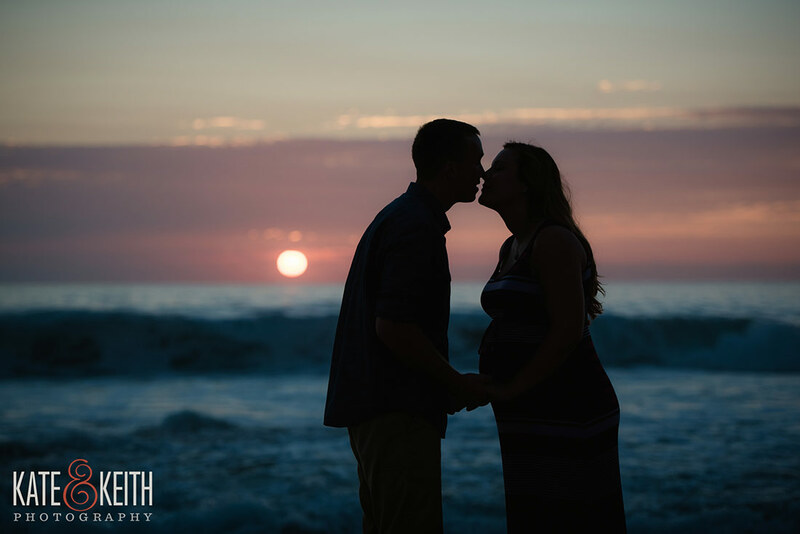 Kate & Keith Photography! 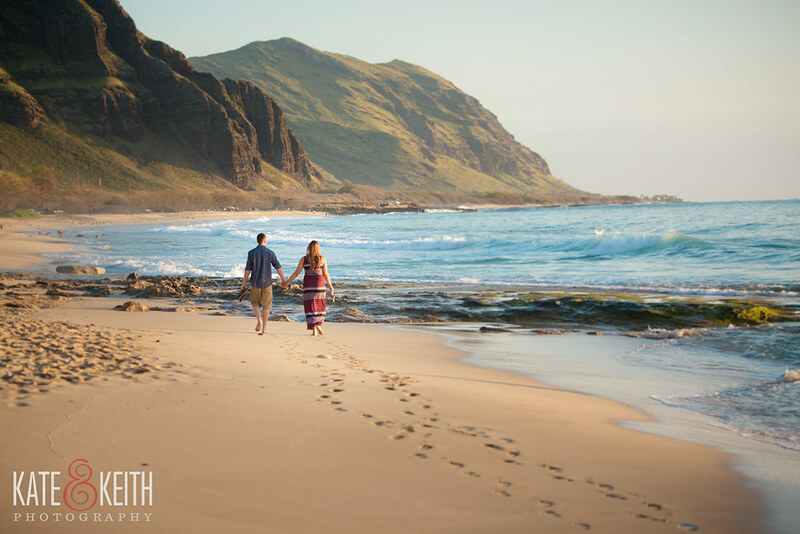 – Looking for Hawaii Engagement Photos? 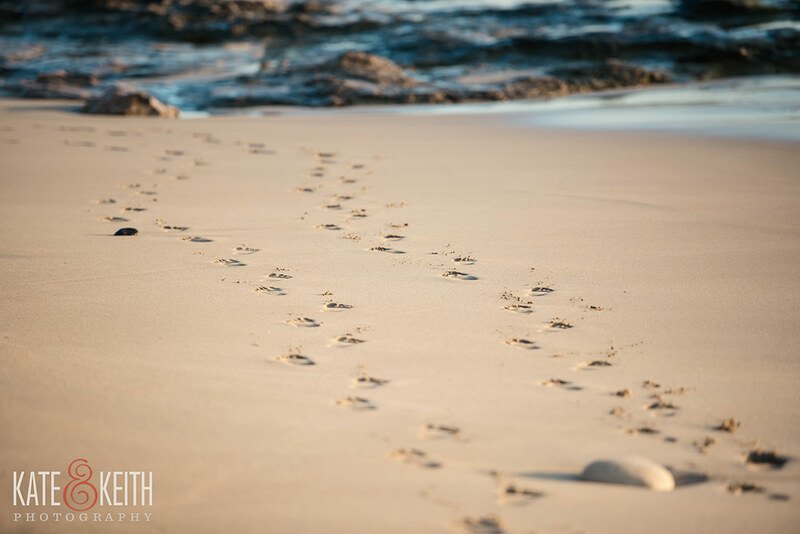 Or other equally awesome adventure? 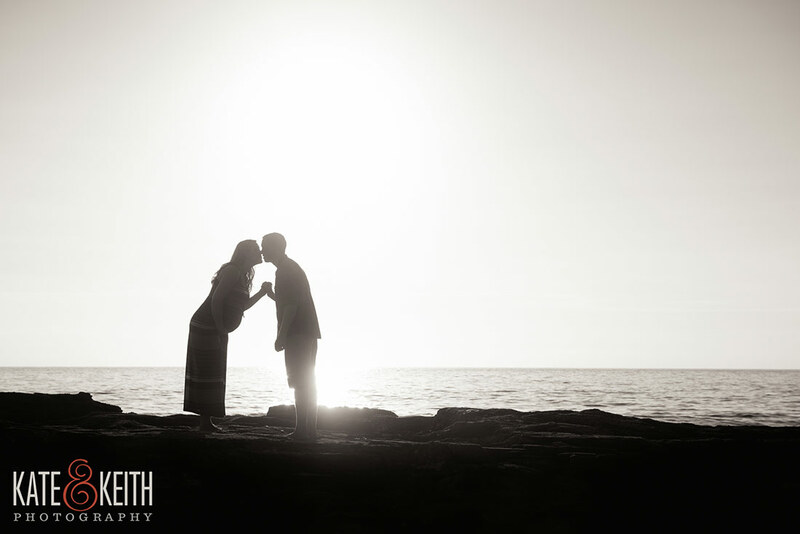 We’d love to be your wedding photographers!